We’re proud of our 25 plus years of service in the New Orleans area. With experience in designing, installation, and repairing of central air conditioning equipment. We also specialize in indoor air quality with equipment that can make your home allergy free. Call Today for my FREE Service call, I look forward to helping you with your air conditioning and heating needs. We use the most up-to-date technology to guarantee your heating and cooling systems are working at the highest efficiency. Our years of experience and solid reputation means you can trust us for your job. We install the best products in the industry Shawn Bradley Air AC Repair for New Orleans, Metairie and Kenner. From full system replacements to new installations. The winters can be just as brutal as the summers here in the south. 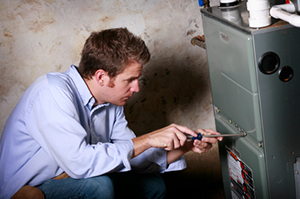 So let Shawn Bradley Air come out today to make sure your heater is up to date and ready to keep you warm on those chilly winter nights. It’s important to stay cool in New Orleans area. That’s why you need quality service when it comes to your air conditioner. Rely on Shawn Bradley Air to give you fast, reliable air conditioning service when you need it the most. What you get with air conditioner services with Bradley-Air? Come Out for NO CHARGE to look at your AC Unit. Peace of mind with our guarantee. 20+ years of experience helping you with every visit. Friendly and Trained and sensitive to your home’s cooling needs. Shawn Bradley Air carries a variety of services for your AC and home cooling needs. Committing quality work on your AC units from outside to inside. If you neglect regular services for your air conditioner or heater you can end up spending much more on repairs and higher energy bills. Shawn Bradley Air Repair has all the top quality name brand products for your home installation. 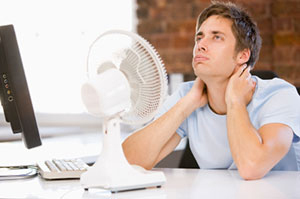 We are committed to making sure your air conditioning system is always working safely and efficiently. And when the time comes, we’ll also help you find a new air conditioning system that fits your needs and budget. Bradley’s service is fast easy and hassle free! I’d definitely would recommend him to anyone I know that has AC issues. Shawn Bradley Air service came by quick and fast to fix my heating issue in the house during the winter. Highly recommended! !